Meditation and bathing ghat. AZIMVTH Ashram is about 100 metres away from the Ganges. Arya Nagar, the place where the ashram is located, has its own ghat which is about 500 metres by walk from the ashram. 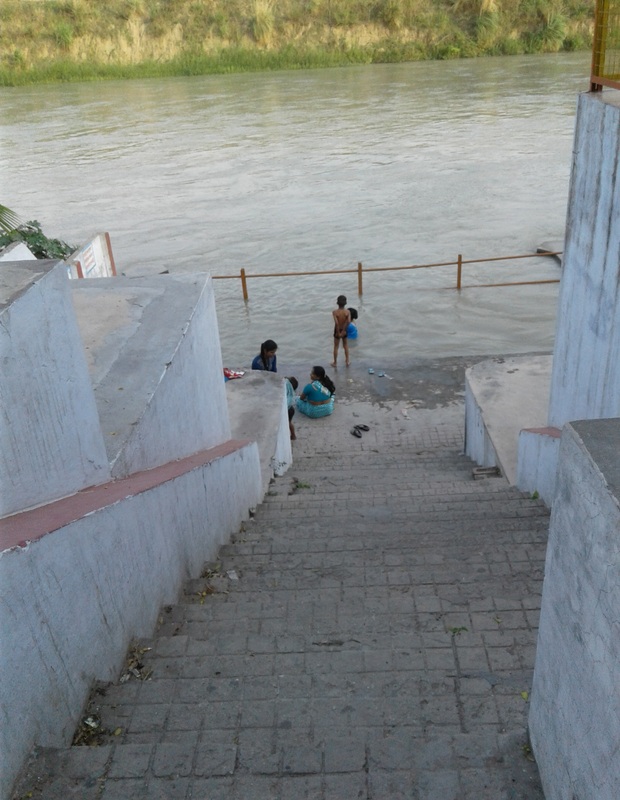 A ghat is a man-made place on the banks of a river where one can step down into it. Like a port. Large coastlines on seas are also called ghats.